As you perhaps know, I am in the habit of holding conversations now and again with people of historical importance, whether I am acquainted with them or not. The other day, having little to do, I summoned up His Satanic Majesty for a chat. Always courteous, he appeared immediately and offered me a low-tar cigarette with a huge filter on it. “There are such temptations?” he asked. “Give me a for instance,” he said. “But wasn’t it a piece of high quality evil to arrest a poor old lady for stealing food which she needed badly?” I asked. “What was the reply?” I asked. “So I was quite wrong to offer you my congratulations on your success in enslaving the souls of men?” I asked. Lucifer smiled. His smile is fascinating – it lies somewhere between that of the late Clark Gable and the gleam of a silver nameplate on a coffin. 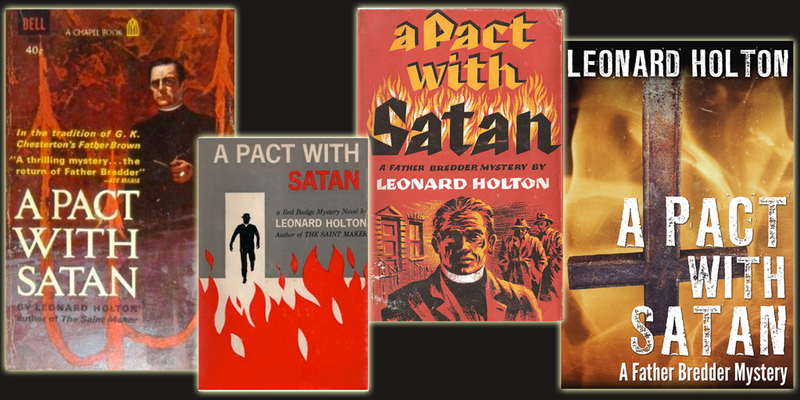 Leonard wrote a series of murder mysteries about a priest-turned-amateur detective named Father Bredder who both solves crimes and saves souls under the pen name Leonard Holton. The series was made into a television show in the 70s starring George Kennedy called "Sarge." To hear about the upcoming releases of Leonard's many novels on Kindle, sign up for our newsletter at http://bit.ly/LeonardNews.